INSPIRED: Art at Work brought 2 visiting artists and 3 local artists to socially engaged projects in summer 2018. Working closely with scientists, and policy-makers, and five local partner organizations, Citizens for a Healthy Community, Western Slope Conservation Center, Farm and Food Alliance, Solar Energy International, and North Fork Valley Creative Coalition, artists created socially-engaged works that explored and addressed selected environmental, cultural, social, and economic issues vital to preserving the natural world and the quality of life and sense of place in the North Fork Valley. These collaborations and a final symposium was designed to broadly engage community dialog on concerns vital to the future of this rural area. What is 'Socially Engaged Art'? “an art medium that focuses on social engagement, inviting collaboration with individuals, communities, and institutions in the creation of art that informs a social issue”. Like our page on Facebook to share with your friends about this dynamic project! June 25 Sculpture design 'peek and speak' held at KVNF; click to attend. July 6th Elsewhere Studios'Meet and Greet' held at Blue Sage Center for Arts. July 8th Per(fumes) of Prayer Butoh dance/movement workshop; click to learn more. July 24-26th Texas Tech University, Art Student Cohort visiting socially-engaged artists. August 24-26, 2018 Symposium held, artists and regional presenters. October 7 The Dinners Project: civic forum, and breaking bread with Elsewhere Studios at Paonia Breadworks. Please email Karen Good at development@elsewherestudios.org with any questions. The work produced during this collaboration was highlighted along with readings, films, music, and live art. Tours of renewable energy and green building projects, to explore nearby petroglyphs and the Gunnison Gorge, music, local innovators and creators, farm to table dinners, and more. It took place at the height of the agricultural season in stunning North Fork Valley. 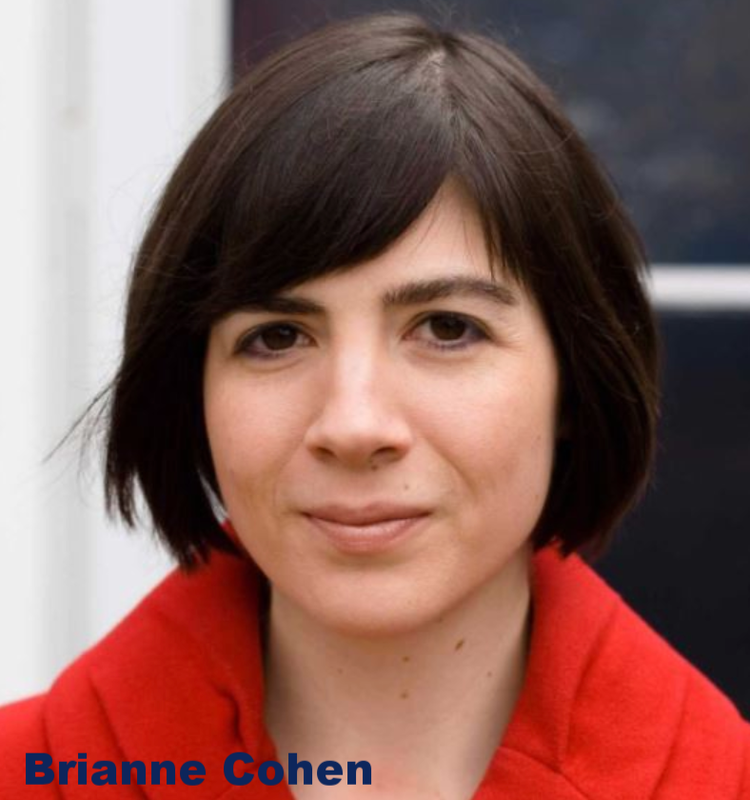 Brianne is a researcher and teacher focusing on contemporary art in the public sphere. From participatory art to lens-based activism, she examines artistic practices particularly concerned with global migration, postcolonial histories, political violence, and ecology and environmentalism. She teaches at University of Colorado, Boulder, in Art & Art History. KEYNOTE SPEAKER Woody Tasch is author of Slow Money and Soil, both about nurturing local systems of capital investment, for healthy, resilient communities. Tasch is widely regarded as a pioneer of the concepts of patient capital, mission related investing and community development venture capital. For 10 years before founding Slow Money, he was the chairman of Investors’ Circle, an angel investor network that since 1992 has invested $172 million in sustainability-promoting startups. A mother, scientist, decorated professor, and enrolled member of the Citizen Potawatomi Nation. She is the author of Braiding Sweetgrass: Indigenous Wisdom, Scientific Knowledge and the Teaching of Plants, which has earned Kimmerer wide acclaim. In a rich braid of reflections, she circles toward a central argument: that the awakening of a wider ecological consciousness requires the acknowledgment and celebration of our reciprocal relationship with the rest of the living world. In 2015 she addressed the general assembly of the United Nations on the topic of “Healing Our Relationship with Nature.” She is the founder and director of the Center for Native Peoples and the Environment. Transition US represents one of the most promising ways of engaging people in strengthening their communities against the effects of climate change and energy transition challenges. Marissa is the Director of Programs, and lives an off-grid homesteading lifestyle with her family on Pitkin Mesa, just outside of Paonia. She came to Transition US after six years working with government, civil society, and the private sector to promote just and sustainable solutions to poverty and public health crises. She is a writer and speaker on topics related to of community resilience, regenerative economics, and permaculture. National Geographic on international waterways. ‘Gena’ is a nationally known nature and food writer and author. Author of six books, At Mesa’s Edge was nominated for a Colorado Book Award. She is the founder of Slow Food Western Slope in Colorado, a master preserver, the former president of the New York Mycological Society, and a member of the National Association of Science Writers. Regina Lopez-Whiteskunk was born and raised in southwestern Colorado. A member of the Ute Mountain Ute Tribe of Towaoc, Colorado. At an early age has advocated for land, air, water and animals. She has spent ten years in the Information Technology field working for Chief Dull Knife College, the Southern Ute Indian and Ute Mountain Ute Indian Tribes of Colorado. Lopez-Whiteskunk has traveled extensively throughout the the country presenting and sharing the Ute culture through song, dance and presentations. In October of 2013 she was elected to serve as a member of the Ute Mountain Ute Tribal leadership. Lopez-Whiteskunk is a former Co-Chair for the Bears Ears Intertribal Coalition. She strongly believes that the inner core of healing comes from the knowledge of our land and elders. Formerly, the Education Director for the Ute Indian Museum in Montrose, Colorado, she is honored to continue to protect, preserve and serve through education creating a better understanding of our resources and culture. Dr. John Hausdoerffer is Dean of the School of Environment & Sustainability at Western State Colorado University, where he teaches environmental ethics and justice. His books Catlin's Lament: Indians, Manifest Destiny, and the Ethics of Nature, and Wildness: Relations of People and Place focus on the history and future of post-colonial cultural and ecological resilience. He is a fellow at the Center for Humans and Nature. Community collaborations create vibrant, safe, multigenerational connecting points. This street mural is an example of work via Village Building Convergence, Paonia, CO.